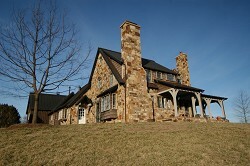 Delaplane, VA This residence recollects a piedmont farmhouse while integrating a high degree of sustainabilty. Constructed into a wooded knoll, the structure includes hyperinsulation, a geothermal HVAC system, rainwater catchment, solar collectors and is wind ready. Unison, VA An eclectic design with a strong craftsman influence, the home provides the Owners with spectacular interior and exterior spaces. The home is constructed adjacent to a steep wooded ravine affording it views to the stream below. 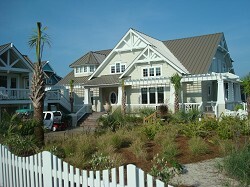 Bald Head Island, NC - This 6,000 square foot home on Bald Head Island is in keeping with the coastal Carolina vernacular architecture of the island. The beachfront location presented design opportunities to take in the magnificent ocean views and create distinctive interior spaces. 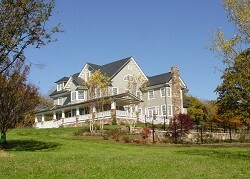 Warrenton, VA - This 10,000 square foot custom home was designed to be the centerpiece of the family estate. A 5-bay carriage house, swimming pool with pool house facilities and a four-bedroom tenant house complete the complex, which takes full advantage of some of the most spectacular views of the region. Marshall, VA - This 3000 square foot home combines compact rooms with a vernacular appearance to create a delightful country cottage. 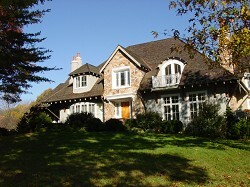 Nova Scotia - This shingle style summer home was specifically tailored for the clients. 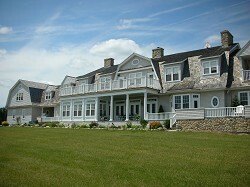 The location, an island off the Canadian shoreline, offered the opportunity for dramatic interior and exterior spaces. 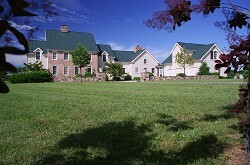 Delaplane, VA - This new residence and carriage house was the long time dream of the owners. Wishing for an American colonial style home with a country influence, the home combines a traditional floor plan with large expanses of glass. This approach mixed the owners' personal desires and achieved spaces that maximized the sites' amenities. Warrenton, VA - A new brick residence with subsequent additions and pool house designed to respect the style of the original structure yet having their own distinct elements. The edges of the building complex define an outdoor area. This outdoor space which includes a pool, hot tub and several places to relax and entertain becomes the heart of summer outdoor living as well as providing a strong connection between the interior and exterior spaces. The Plains, VA - The owner's desire for an old world style home suited for the lifestyle of a young family helped shape this 6,000 square foot home. Concrete roof tiles, deep jambs and mottled stucco contribute to achieving a traditional look with modern day conveniences. Markham, VA - After a week's visit to England to study cottages that the owners admired, the design plans for "Rose Folly" were undertaken. 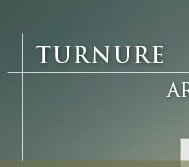 Hence, the completed project employs not only a strong influence of English architecture but also construction methods to achieve a truly unique home. Warrenton, VA - This new residence was conceived as a traditional 4-square design with the appearance that the house had to be enlarged over time with additions. To achieve this, multiple materials and design styles were used. Large overhangs were employed to reduce the scale of the structure and accommodate the owners desire to integrate passive solar elements into the design. Virginia Lane, Middleburg, VA - The vision for Virginia Lane began in 1998 as a venture for the Windy Hill Foundation to address the decrepit housing along Route 50, west of Middleburg. The seven existing houses were in deep decay, unsightly and unsafe. The mission of the Foundation was to provide safe, decent and affordable housing to lower income families in the local community while beautifying the western entrance to the village. A total of 7 new duplex buildings were built to accomodate 14 families.